Away from the tourist mainstream on the untouched east side of the island Koh Phi Phi, you will find something that Koh Phi Phi already seemed to have lost: untouched, dreamlike nature, privacy and warm Thai hospitality. Our big longtail boat picks you up at Tonsai pier, the main pier of Koh Phi Phi and brings you to Relax Beach Resort. We have 5 types of bungalows depending on their locations. 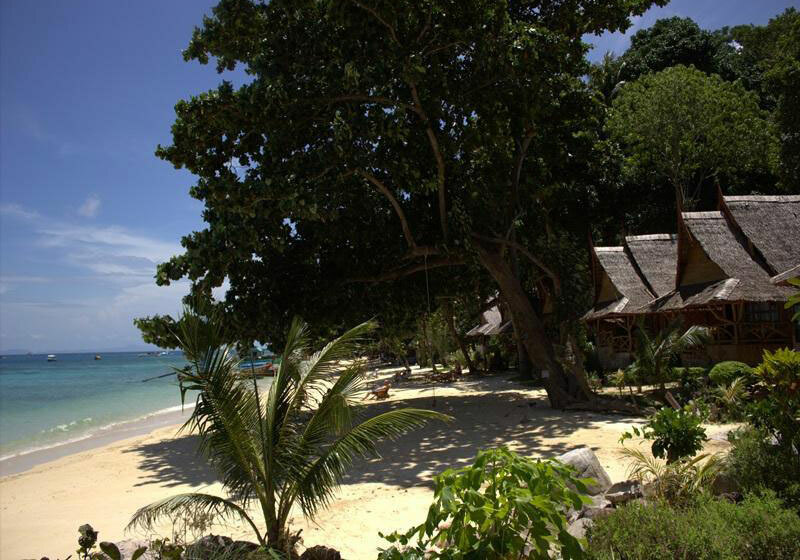 Beachfront Bungalows are right on the beach and a few meters away from the ocean. These are perfect for those who love to wake up to the white sandy beach and turquoise blue water. Phi Phi Relax Beach Resort is based in the heart of the Koh Phi Phi Marine National park with its white beaches, colorful reefs and jungle forest. Short Description: Away from the tourist mainstream on the untouched east side of the island Koh Phi Phi, you will find something that Koh Phi Phi already seemed to have lost: untouched, dreamlike nature, privacy and warm Thai hospitality. Our big longtail boat picks you up at Tonsai pier, the main pier of Koh Phi Phi and brings you to Relax Beach Resort.